Computer-to-Plate (CtP) is the leading platemaking technology. It requires platesetters to remain in top condition day after day, under continuous use. Our laser technology, developed exclusively for the Suprasetter family, makes this possible – reliably. Our Suprasetter are setting the benchmark in all format classes based on lessons learned from installing several thousand CtP systems. They are leading the way not just in the quality of their imaging, but also their reliability and availability. Their integration into the Prinect print shop workflow guarantees the correct delivery of all order-related data and enables our technicians to fix small faults remotely from a distance. This saves you precious time –and you will see a noticeable reduction in operating and maintenance costs. Peak performance in medium-size format. Computer-to-Plate (CtP) is the world's leading technology for boosting productivity and efficiency in the pressroom. Along with the presses, the performance of the platesetters is a particularly crucial success factor. Outstanding quality is as important as absolute reliability and durability. In order to stand the test of long-term use and play its part in the company's economic success, a platesetter system needs to be well equipped to handle the demanding requirements of the pressroom. Based on experience gained from installing several thousand CtP systems worldwide, the Suprasetter generation of platesetters sets new standards in every format class. 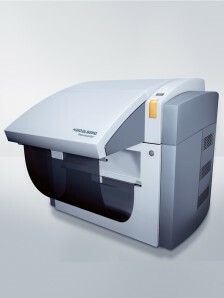 From the small-format, entry-level solution to the large-format class, every Suprasetter model is designed according to the same successful principles: premium quality, maximum availability, growth-oriented modularity and flexibility, and perfect integration into the Prinect print shop workflow. From small to large format, a new CtP system must offer potential for increased performance. It is not enough to simply improve some details. What matters is the sum of all the technical features. 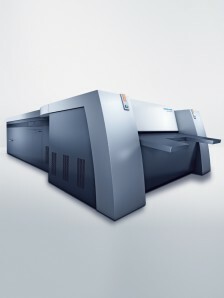 When developing the Suprasetter, therefore, Heidelberg focused in particular on perfectly coordinating all components across all format classes. Regardless of whether you need automation, modularity, flexibility, reliability or simple operation, the Suprasetter sets new standards in the CtP sector with its outstanding features. The individual plate loading systems of the Suprasetter might look different, but they all ensure reliable and efficient production that is second to none. In fully automatic mode, a Suprasetter can image printing plates at any time, either in daytime operation or during the night shift. The quality of a loading system is also defined by the reliability of its slip sheet removal, and in this respect too, the Suprasetter performs exceptionally. A Suprasetter can grow in line with a print shop's ever-increasing demands. Whether the platesetter is used from the outset as a fully automated device or is gradually updated on site from manual operation to automatic plate production, the Suprasetter meets the individual, growing needs of the company - a further argument for making this highly reliable investment. Depending on the format class and configuration, the unit can be stocked at any time with enough plates to handle several hours of fully automated production, thanks to the enormous capacity of the loading cassettes and their wide range of options for format assignment. Suprasetter are also highly flexible when processing different printing plates. More than 40 different types from various manufacturers have been tested and admitted for use. 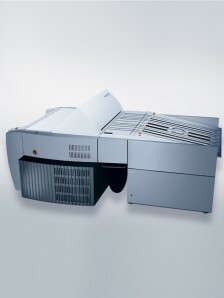 Suprasetter use only lasers exclusively developed by Heidelberg. The result is excellent imaging quality with maximum productivity. They also offer unrivaled depth of focus. The internal punching systems ensure consistently reliable production and very high register accuracy in the press. The laser systems in the Suprasetter offer not only outstanding quality but also a high level of reliability, in particular through the Intelligent Diode System (IDS) developed and patented by Heidelberg. Even if one or several diodes fail, production is not interrupted. All Suprasetter can be optionally equipped with highly accurate, internal punching systems. The punched plates provide maximum register accuracy. This reduces press makeready times which also minimizes waste. This is particularly the case for repeat jobs, for example when post-production of a printing plate from an existing color set is required. Because register deviations are rare, production can continue immediately. Any investment in a CtP system needs to take into account today all of tomorrow's needs. The Suprasetter have therefore been conceived with an end-to-end modular design. A Suprasetter can grow in line with a print shop's ever increasing demands. For example, plate loading systems for automatic loading of the platesetter can be connected in a very short time. Suprasetter are highly flexible when it comes to plate handling, plate types and formats, punching systems and level of automation. Heidelberg uses the latest plate technology that combines environmentally friendly plate processing with high productivity. 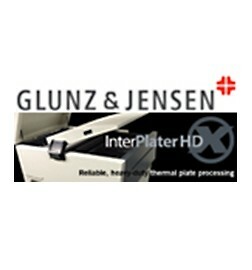 All Suprasetter can process chemical-free or processless thermal printing plates. These have less impact on the environment because chemical influences have been removed. Suprasetter feature software-controlled operation. The user interface displays the current status of the platesetter in a clearly structured and easy-to-understand way. Production-relevant parameters, such as the temperature of the laser carriage, can also be displayed. Graphic animations indicate the position of the plates inside the unit. Intuitive navigation makes familiarization quick and easy. Input errors are also reduced to a minimum. Prinect integrates existing and newly developed products throughout the entire production workflow. Saphira consumables offer you everything you need for prepress – extensively tested and high quality, all from a single source.